In a visit to Ferguson, Missouri, on Friday, Republican presidential candidate Ben Carson said Michael Brown “had done bad things, but his body didn’t have to be disrespected” by being left in the street for hours and emphasized the need for respect between police and local communities. Brown, an 18-year-old African-American, was fatally shot during a confrontation with a white police officer in Ferguson last year. The death sparked riots and brought race relations and the relationship between police and the communities they serve to the forefront of the nation’s attention. “I heard more than one time how the thing that really inflamed the community was the fact that Michael Brown’s body laid out on the street for four hours. I think a lot of people understood that he had done bad things, but his body didn’t have to be disrespected,” Carson told reporters after a closed-door roundtable discussion with members of the community. He was measured, though, when talking about how much of an issue racism is throughout the country. 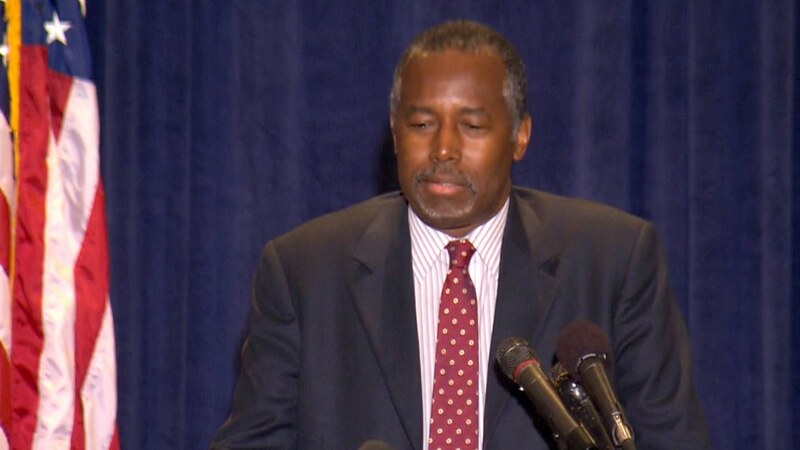 “I think a lot of people perceive everything through racial eyes,” Carson said. He also said he would be skeptical of creating any federal programs aimed at addressing tensions between police and minority communities. Brown’s death and similar cases around the country helped spur the “Black Lives Matter” movement, which has already had an impact on the 2016 campaign. Activists have pressed candidates on how they would address racism and policing in America, and even overtook a rally for Democratic candidate Bernie Sanders in August. Carson said he would meet with the group, but encouraged them to change their mission. The former Johns Hopkins neurosurgeon has been surging in the polls and caught the attention of frontrunner Donald Trump, who questioned his rival’s religion on Thursday. Carson was asked for his reaction during Friday’s press conference.